The mission for USAarchitecture is to showcase the finest American architecture from Modern to Historic; Connect like-minded individuals with those who share enthusiasm for great design; Introduce and connect unique talent and useful resources; Facilitate Historic and Architectural Preservation; promote, support and advance better living, conservation, and life-enhancing ideals through architecture. 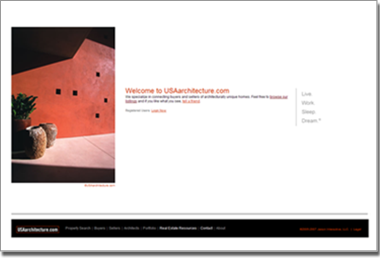 Lurus created the USSarchitecure.com with a completely customized listing and photo display engine as well as built in advertising and SEO capabilities. 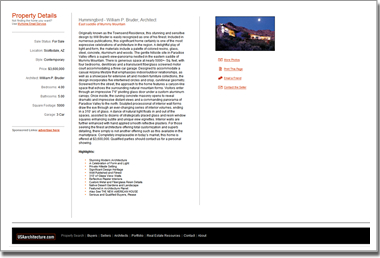 The USAarchitecture.com website also features a customized listing category and incorporates high resolution photography provided by the client.